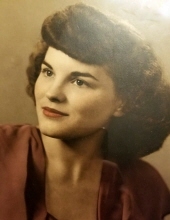 Joyce Berry Baker, 86, of Whitmire, died Thursday, January 31, 2019 at her residence. Born on January 14, 1933, in Newberry, she was a daughter of the late Monroe and Corene Lively Berry. She was the wife of the late M. L. Baker, Jr.
Mrs. Baker was the former owner of Dairy O, later Minute Market, in Whitmire and was a member of St. Timothy’s Lutheran Church. Joyce Baker was a loving mother to her two sons. She was an independent, hard working woman who not only ran her store, but also operated the family farm, tending the cows and overseeing all the details of the farm operation. She enjoyed any outside activity including hunting, fishing, and gardening. She was a sports fan who could talk basketball, football, and baseball with the best of sports enthusiasts, and was a dedicated fan of the Boston Red Sox and the Boston Celtics. In her later years, she had taken up quilting, making quilts for all of her grandchildren. She is survived by her sons, Jimmy Troy Baker and wife Tamara and Miles Baker and wife Susan all of Whitmire; grandchildren, Kerri Sligh of Whitmire, Shane Baker of Michigan, Connie Baker of Whitmire, Rosemary Floyd of Prosperity, Jenna Baker of Whitmire and Catherine Baker of Whitmire; 13 great grandchildren and two great-great grandchildren. In additional to her parents and husband, she was predeceased by a grandson, Jordan Baker and two sisters, Lorene Bishop and Francis Wise. Funeral services will be held at 3:00 PM Sunday, February 3, 2019 at St. Timothy’s Lutheran Church in Whitmire conducted by the Rev. Paul Williams. Interment will follow in Beth Eden Lutheran Church Cemetery. Active pallbearers will be Ricky Bishop, Barry Bishop, Blake Shirey, Daniel Fulmer, Robert Baker, Scott Coleman, and Hank Parker. "Email Address" would like to share the life celebration of Joyce Berry Baker. Click on the "link" to go to share a favorite memory or leave a condolence message for the family.